Brandon had been struggling with sypmptoms for a few weeks now, and his doctors continued to look for a cause. Delilah in the HR office, was also struggling — stuggling to determine whether Brandon’s absences for his condition qualified for FMLA protections. The issue was that the certification Brandon provided didn’t include a diagnosis. Usually, FMLA certifications included such information, and Delilah used that information in her decision regarding designating leave as FMLA leave. Delilah turned to her peers regarding the situation, and was happy to learn something new (for her) about the FMLA – that employers may not mandate that a certification includes a diagnosis. Eligible employees may take job-protected leave under the FMLA for a limited number of qualifying reasons, but it’s up to the employer to figure out when an employee’s absence is for one of those qualifying reasons. To help accomplish this, employers may request that an employee provide a certification in support of the leave. Since the FMLA was revised in 2009, the certifications for a serious health condition may include a diagnosis. This can help employers, but employers shouldn’t rely solely on a diagnosis. This is, in part, because employers generally may not require that a certification include a diagnosis. According to the Department of Labor’s Wage and Hour Division (WHD), which enforces the FMLA, the determination of what medical facts are appropriate will vary depending on the nature of the serious health condition at issue and is left to the discretion of the health care provider. Employers may not reject a certification because it lacks a diagnosis if the information provided is otherwise sufficient to verify that the condition is a qualifying serious health condition. In some situations, the doctor might not have a diagnosis. Some states, such as California, have laws that prohibit employers from even requesting a diagnosis. Therefore it helps to be aware of provisions outside of the federal FMLA. Even if a certification does not include a diagnosis, employers are to use the rest of the information to determine if a condition is serious. Basically, this involves comparing the related information to the definition of a serious health condition. Reviewing a certification to ensure that it is complete and sufficient, can also help circumvent an employee from obtaining FMLA leave for reasons that do not qualify for the law’s powerful protections. The FMLA often provides learning opportunities, as the devil is in the details and the the law and the regulations have plenty of details to go around. 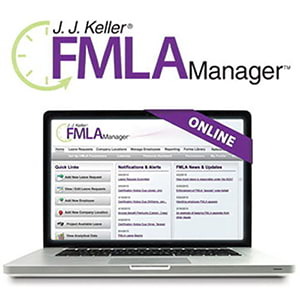 J. J. Keller® FMLA Manager™ Service makes leave tracking easier while helping you comply with the latest federal & state regulations.